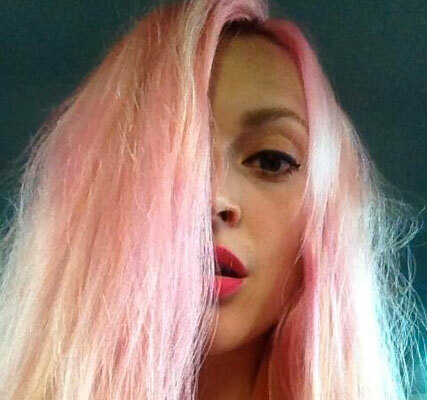 Fearne Cotton gave us a sweet surprise on Twitter yesterday debuting her newly dyed candyfloss locks for summer. Boasting some enviable tousled tresses in punked-up pink, Fearne tweeted: ‘Pink to make the boys wink’ and ‘Candy floss boss’ after experimenting at home yesterday. 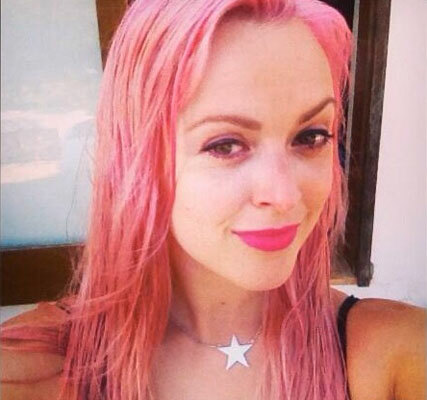 Though it’s not the first time Fearne has gone pink. Now 31 and mum to baby Rex, the Radio 1 DJ seems to be adjusting well to family life and appears to be finding no shortage of things to keep her amused during her maternity leave from the station. Ever the style icon, Fearne has been between fashion projects since the birth of her first son – designing her spring/summer 2014 clothing collection for Very.co.uk while also launching her debut homeware range for the retailer. During her first post-baby public appearance in June, Fearne questioned whether she would have anything to talk about when she returned to the regular Radio 1 show later this year. We know her well for setting trends but it rather seems that this is the summer of colour with Rita Ora, Helen Mirren and Jessie J opting for the extreme ends of the colour wheel. We will certainly be taking a little pink-spiration from Fearne’s Tweets.